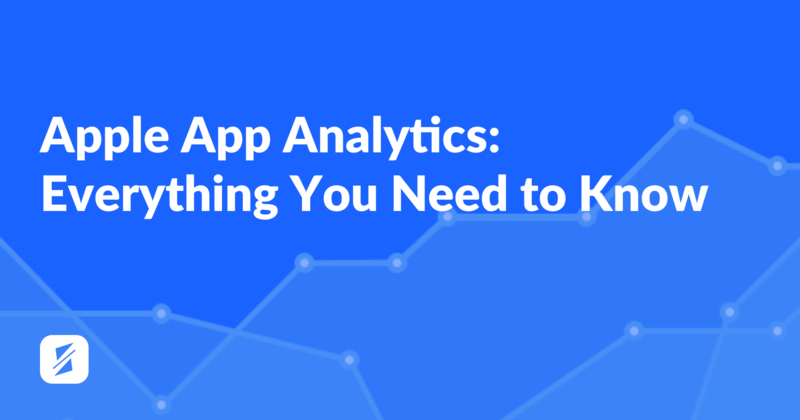 This guest post was created by Ekaterina Zolotareva, a marketing manager at TheTool – performance-based app marketing & ASO tool for App Store and Google Play. Are you making the most out of the opportunities to increase your app or game’s awareness? 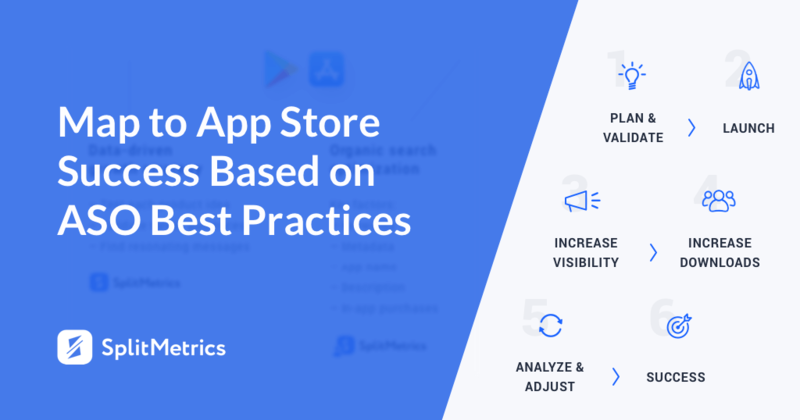 Did you know that ASO (App Store Optimization) doesn’t only increase your application visibility in the stores, but also affects the SEO (Search Engine Optimization) of your app store listing in the Google mobile search, and gives your application extra visibility in the App Packs? App Store Optimization – ASO – is the process of improving the visibility of a mobile application and conversion rate to install in the app stores. Search Engine Optimization – SEO – is the process of improving the visibility of a domain in web search (mostly Google). A growing number of mobile usage and skyrocketing amount of applications in the stores has lead to a rise of mobile app search. The users don’t search for new apps only in the app stores anymore, they also use a traditional search for it. Recent studies show that 27% of users find applications using a mobile web search. That’s an important number to consider when you think of your application’s visibility. It isn’t enough anymore to be ranking high in the app stores, you also need to appear in the SERP (search engine result page), otherwise, you are limiting the potential users from discovering and downloading your app. Until recently, Google’s search algorithm has been treating the mobile and desktop searches similarly, without emphasizing the difference between web and app search results. First, an “App” search option was added to a mobile version of Google, followed by including device-specific App Packs into the search result page. These have changed the search pattern completely and created a need for mobile developers and marketers to optimize their apps according to an app-specific search. In this post, we will talk about some actionable tips on how to improve the visibility of your applications in mobile web search in general and in App Packs in particular and more ways to increase your application’s organic reach. 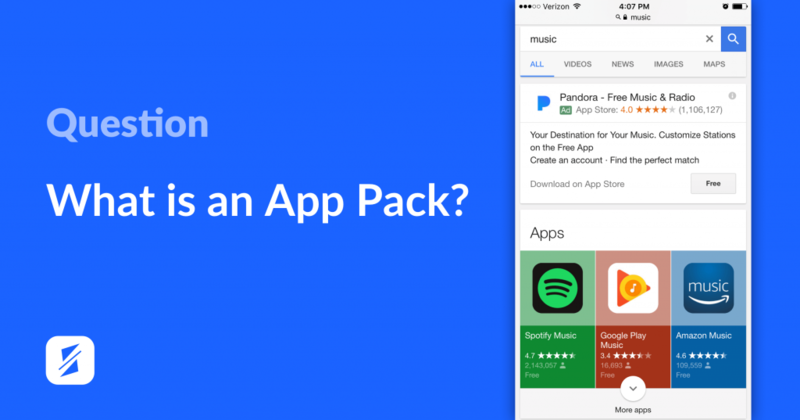 But first, what is an App Pack? An App Pack is a group of apps suggested by Google and appearing on the mobile search result page. An App Pack can include 3 or 6 applications that are relevant to the search keyword and is usually featured at the top of the search results, however, it can as well be included in the middle or the end of the page. Each app in the App Pack is represented with an overview containing a name, icon, price and rating. In case that more than 6 applications match the search query, an expansion arrow is included so the users can load the other results. App Packs are OS-specific and device-specific, and they link directly to the corresponding app store listing in the Apple App Store or Google Play Store. According to Searchmetrics, one in ten mobile searches in Google now include a suggested App Pack. This number is most likely going to increase, as more and more apps are applying the optimization strategy for search, alongside ASO, to boost the visibility in Google Mobile Web Search. 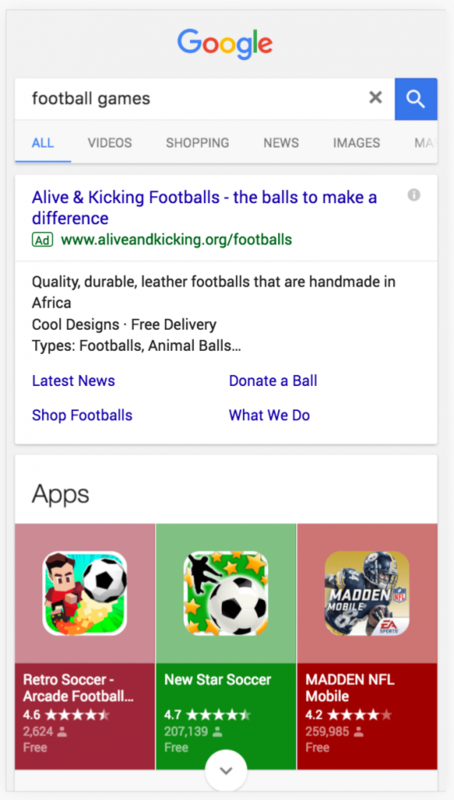 Google shows App Packs when the user is clearly searching for an application or a task that can be done with an app, so primarily in the searches like “football games”, “todo list”, “fitness” or “meal planner”. 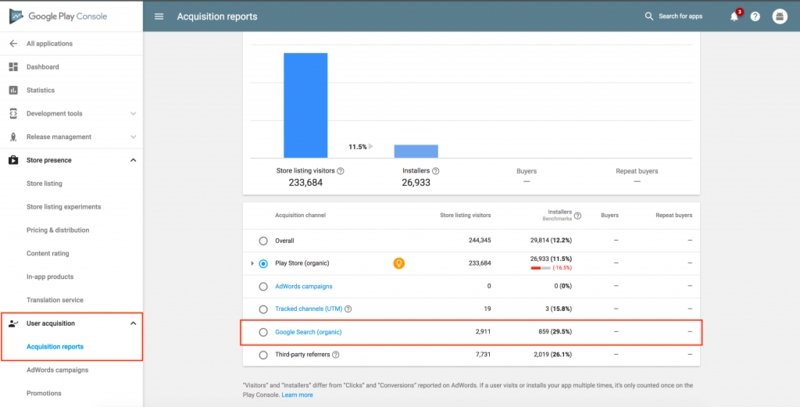 Keywords rankings in the App Packs don’t depend on stores keywords rankings, as Google uses its own algorithm to rank the apps suggested in an App Pack. Yet an application that is ranking well in mobile web search results and appears in the App Packs, will also rank well in similar searches in Apple App Store (in a case of a good ASO) or Google Play Store. The most important ranking factors don’t differ much from those you need to focus on while doing App Store Optimization, so make a research prior to launch, and don’t forget to take into account that more than a quarter of all potential users will search for your app in Google and not in the app stores. App Packs (Mobile Apps SEO) On-page factors: URL (it also helps with ASO), Title / App Name, short description and description. Note: iOS applications’ descriptions don’t have an impact in ASO, but they do in SEO. App Packs (Mobile Apps SEO) Off-page factors: User ratings/reviews, installs, and page authority/backlinks. Follow these best practices to ensure you haven’t left anything aside when preparing for a successful launch! You will need to make a good keyword research both for App Store Optimization and Search Engine Optimization. So don’t spare forces when it comes to making a good research, and use ASO & mobile app SEO tools to select the best keywords for your project. For example, TheTool gives you app store keywords suggestions and estimates traffic and difficulty for each of them and SEMrush gives you the same for web search. Try to use low or medium difficulty keywords which have most traffic (a number of searches). 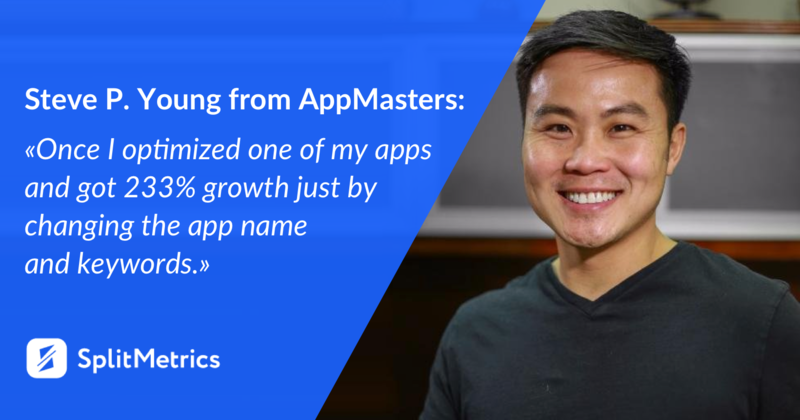 Use your most descriptive and powerful keywords in the app name alongside your brand name, and sprinkle the rest of the keywords in your app’s description, short description (Google Play Store), or keywords field (Apple App Store). Note: Google is not indexing your keywords field from Apple App Store, so keywords appearing there won’t help you with SEO / App Packs. 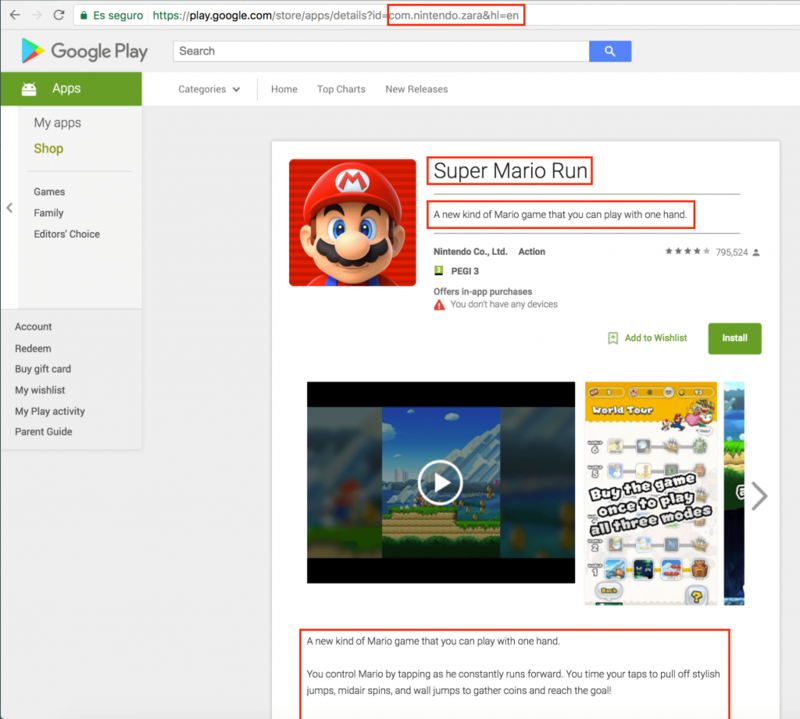 If your aim is to improve ranking in Google App Packs search results, consider including keywords like “app/apps” or “game/games” in your keywords list. When searching for an app in the stores, the users won’t type “app” in the search query, but in a traditional mobile web search, they most likely will. Google is likely to rank higher the apps with more positive reviews and star ratings, but it also would scan through your user reviews in order to search keywords. Same as in traditional SEO, Google would give more weight to the keywords on the top of the page. Encourage your users to leave good reviews! Keeping a positive user sentiment also improves the click-through rate and conversion rate to install, which have a great effect on Google mobile web rankings and can improve significantly your position in App Packs rankings. The more and better ratings, the better App Packs visibility. 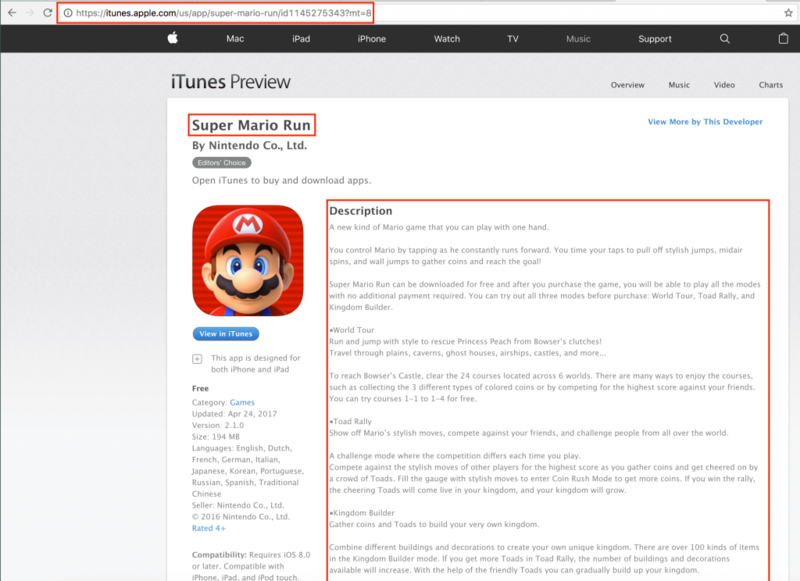 Add a link to your app store listing from your web site. Having high-quality backlinks will increase its rankings in Google web search, just like it will for usual websites. Try to get the media talking about your app and linking to it directly. Consider adding a link to your app store listing in the header of your website, provide details about your best features and motivate your web users to use your mobile application as well. You might even want to build a dedicated landing page to encourage more visits and installs, provide screenshots or video demos. Tip: Include your brand name in the app name as an anchor text in a download link and also in the app store listing URL or package in the case of Google Play. As it happens in ASO, the more installs (this also means more user ratings), the better App Packs SEO rankings. 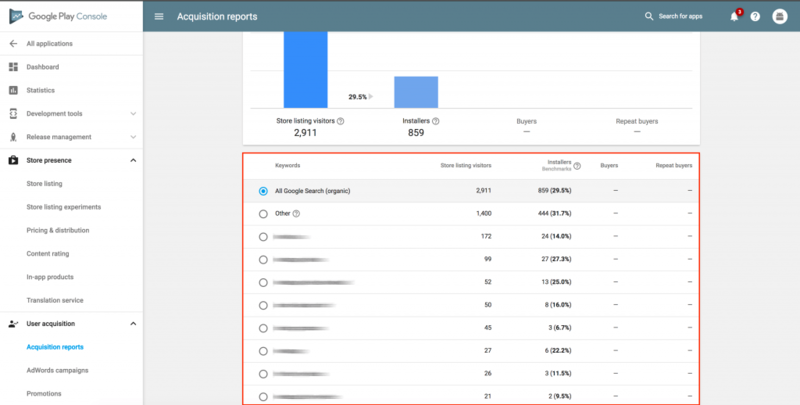 Go to “User acquisition > Reports > Google Search (Organic)” to see which keywords bring installs with SEO / App Packs. 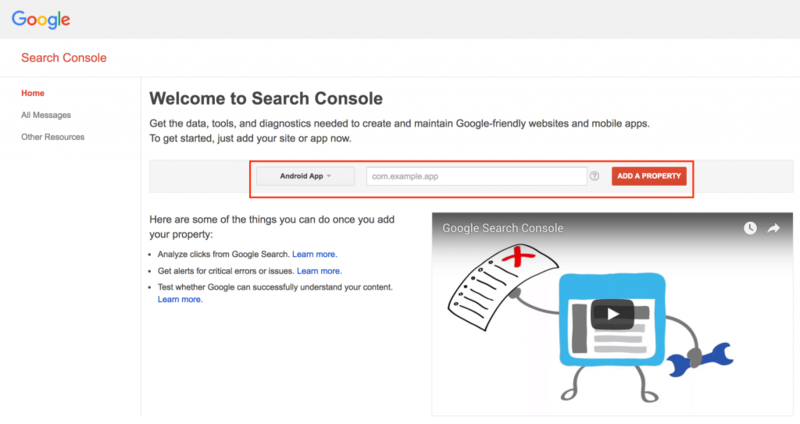 Super tip: match keywords from Google Search Console and Google Play Console… Magic! 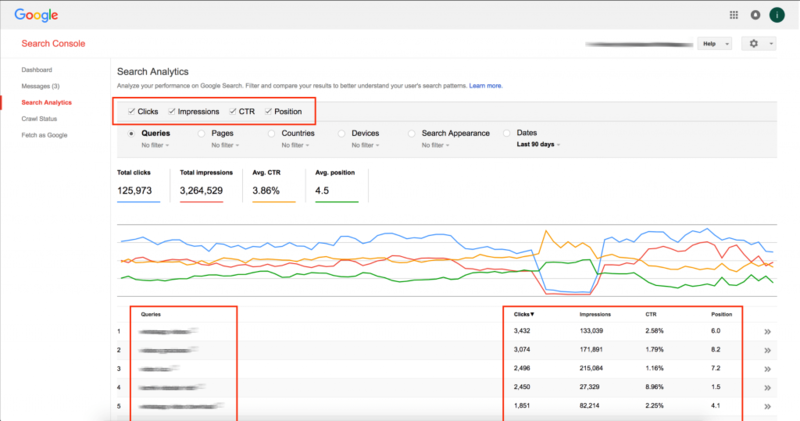 Now you have impressions > clicks > installs (> buyers) keywords data from SEO / App Packs! Use ahrefs (the best SEO backlinks tool ever!) to track and monitor backlinks. Add the URL (Google Play / App Store) of your application and monitor backlinks, anchor texts, etc. It’s very important not to treat your optimization strategy as a one-time thing. It’s a process of constant improvement, and what is not measured, can’t be improved. 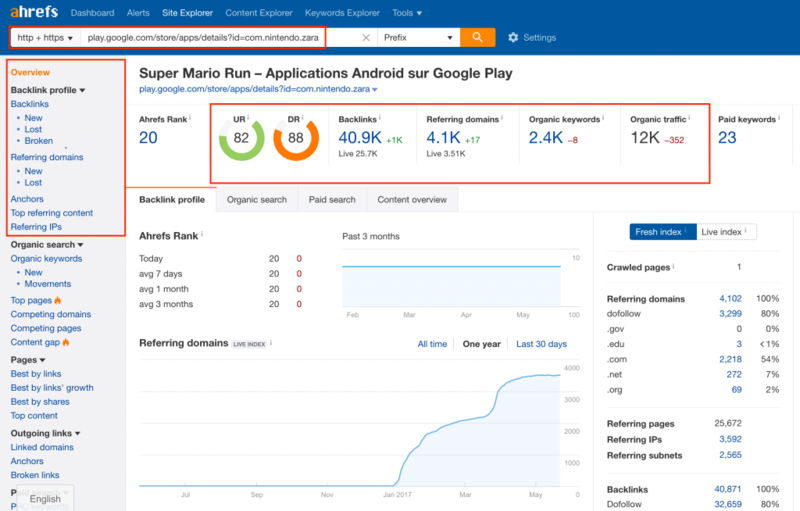 To test and monitor the results of your new strategy for App Packs on the desktop, you can view the search page through a user-agent switcher, through developer mode in Google Chrome or by searching from your mobile device. Monitor your ASO / SEO strategy and update it frequently, and your application will be always ready to face any market change.